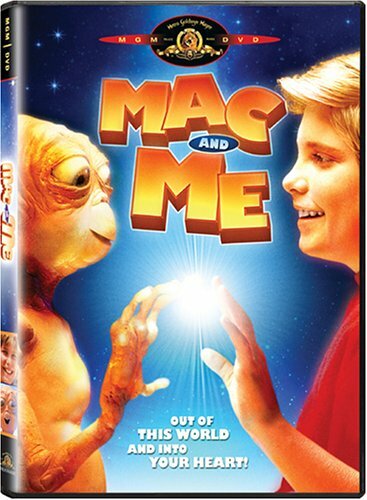 “Mac and Me” looked like it would be an adorable E.T. rip-off. And, in fact, Mac is adorable. And for the vast majority of the movie, it was absolutely fine. Until it got to the final 20 minutes. When the entire alien family – mom, dad, and the children (cute little Mac, and Mac’s sister) – are surrounded by a swat team, and shot over and over, until the building they are standing in front of goes up in a blazing inferno, while the 10-year-old child in a wheelchair – who is the main character – also gets shot and killed!!! Then comes the scene of the mother and the rest of the family grieving over the child’s dead body! At the very end, the aliens manage to resurrect themselves, walk out of the ruins of the fire, and bring the child back to life. But those scenes are ones that no child should be exposed to, and are very intense and scary. THIS WAS A WONDERFUL MOVIE WHEN I WAS A KID. THERE IS ALOT WORSE THINGS KIDS WATCH THESE DAYS I ASKED MY MOTHER HOW OLD I WAS WHEN I FIRST WATCHED THIS FILM SHE ADVISE 6 YRS ONE OF THE BEST FILMS I HAVE EVER SEEN GOING TO BUY THIS ONE FOR MY SON TOO !!!!! !